Last week the annual Atlanta Journal Constitution Car Show rolled into town. When I moved to Atlanta back in ’07, I remember how big their auto show use to be. In ’08, they held the show in two rooms at the Georgia World Congress Center and it was a week long. Now…. it’s five days long and confined into one room without all of the auto makers there (Mercedes Benz/Smart Car didn’t show up). I’m not gonna lie, I had fun this year. I spent more time outside of the show than I did inside, because the AJC made the show more family friendly. Six automakers- Cadillac, Dodge, GMC, Toyota, Kia, and VW offered test drives for those who wanted to feel the experience. And my crazy self decided to take advantage of the offers. I test drove 10 vehicles. And it took me a little over 4 hours to do so. I tested in the exact order of driving: the Jeep Wrangler, Fiat Cabriolet, Dodge Charger R/T, Cadillac Escalade ESV, Cadillac CTS-V Coupe, Toyota Camry, Toyota Prius-V, VW Bettle, VW Tiguan, and Kia Optima Turbo. Originally, I was going to rank the cars from which one I like from the lowest to the highest. But instead, I’ll go by the order that I listed the vehicles above. 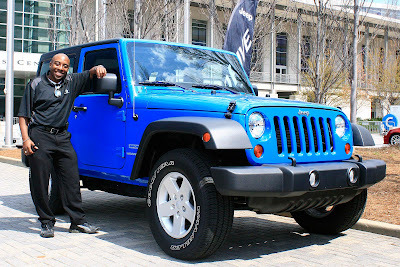 To kick off the test driving experience, I went with the Jeep Wrangler first. It was the blue, two door one pictured above with my test driving friend. I chose this particular vehicle first because the Jeep Wrangler will be one of my next vehicles (the Ford Mustang 5.0 GT is the other. I didn’t forget about that one). I’ve previously mentioned how I fell in love with the Jeep Wrangler in Boston when I had the pleasure of driving a four door one. The blue one was fun, I liked how it goes into Eco mode to allow for the best gas milage, the removeable hood, plus that shade of blue pops *makes popping noise*. But with my vehicles, I like room. The two door was cute, but the four door is more ideal for me. The Fiat Cabriolet was sooooooo fun to drive. 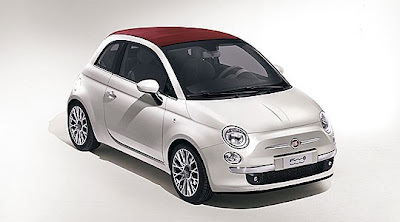 The difference between the Fiat Convertible and most other convertibles is that you can put the top down while the car is in motion, up to 65 mph. I drove the Fiat Lounge Cabriolet, which is the second most expensive one, behind the Gucci Edition. Of course, Dodge was super excited, referring to the car as the J-Lo car. I’m still bitter with Jennifer Lopez because the commercial appeared to be in the Bronx, but in reality, she shot the commercial in Los Angeles and in the commercial she talked about what she loved about New York. I love Los Angeles and all, but it’s not New York. 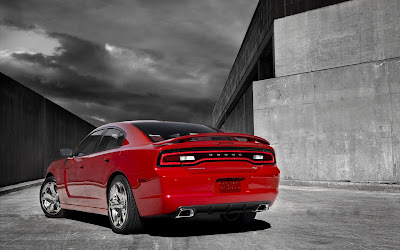 The Dodge Charger R/T was the type of vehicle that my lead foot needed. I like my vehicles to have power, and the Charger had pick up. The guy who was in charge of the Charger was happy, yet surprised that I tested the 370 horses. If I presented with a vehicle with a decent amount of horsepower, a dry road, and no cops around, of course I’m gonna drive fast. But the car will be returned exactly how I got it, just with a few more miles on it. But I could have continued living my life without knowing that there are 164 lights involved with the Dodge Chargers tail lights. Then I shimmied over to the Cadillac area. My first vehicle was the biggest one they had to offer, yet no one was driving it, so that’s why I asked to drive the Cadillac Escalade ESV. The size wasn’t intimidating at all and I’m all of 5’2 and a half. What I liked the most about it, besides the fact that it’s a full size SUV that offers 400 horsepower, but there’s sensors on it that tells you when a vehicle is in your blind spot area- a feature that should be available on all vehicles. 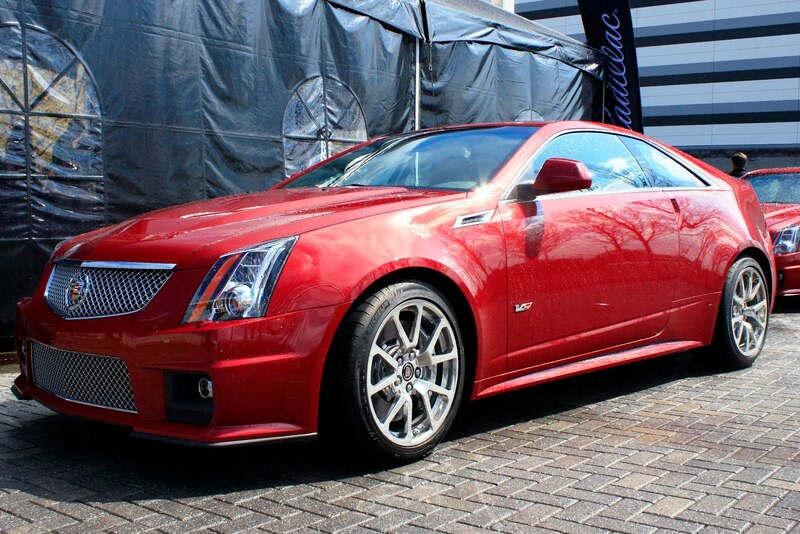 Next, I hopped behind the wheel of the Cadillac CTS-V. Yes dears, the same one that Justin Beiber purchased. But there was a huge conspiracy involving this car. So we pull out of the lot, and it starts to rain. Not drizzle, but RAIN. I was pissed!!!! Because of the rain, I wasn’t about to try out the 500+ horsepower. I love to speed, but I have great judgment. I didn’t tell you the best part. When it was time for me to give the car back, it stops raining. Just my luck…. 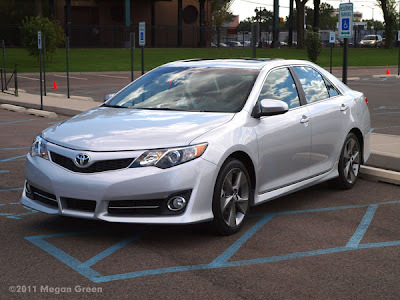 I ran back inside to register with Toyota and VW, then headed over to the Toyota area to select the “redesigned” 2012 Camry. Toyota failed to realize that minor changes doesn’t warrant them to call it a redesign. The redesigning of the Camry was back in 2007. It was fun to drive, but I honestly didn’t see any major difference between the 2012 one and the one my dad has- which is an ’07. The 2012 one offers a lot more options, and who doesn’t love options? As far as the standard equipment, there’s no difference. The best part about the test drive was when the test drive guy started playing Young Jeezy since I mentioned I liked rap music. I got out of the Camry, and ran into a guy I met before at one of the previous auto show. 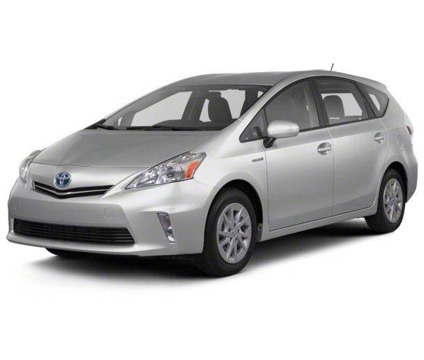 He was in charge of the Prius V and that’s why I tested it. I asked the famous question- how much horsepower does it have? His answer- 138. I died laughing. Here’s the thing- I’ve been followed before in my car, and the one thing I need is horsepower to get away from stalkers. 138 horsepower isn’t gonna help you get away from anyone except if they’re driving a Smart Car, which only offers 71 horsepower. The highlight to this test drive- Cam’ron came on the radio. 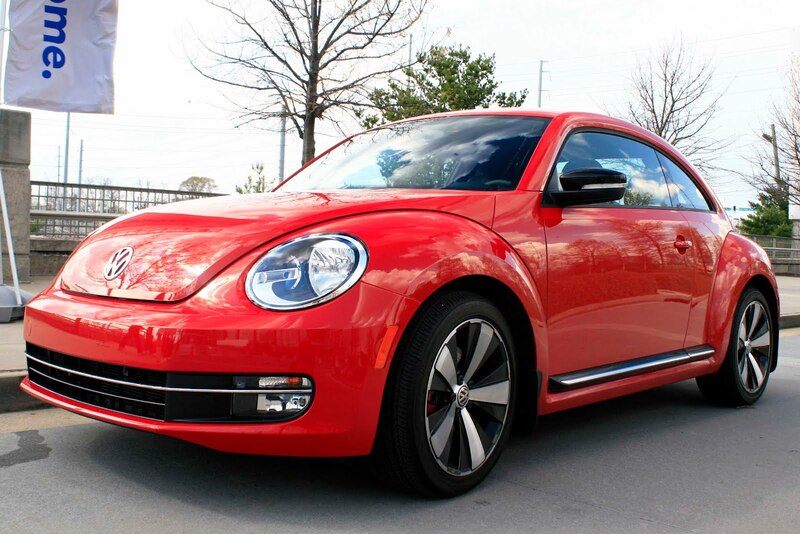 Then I ran to the VW area, when I jumped into the candy apple red Beetle. Oh my goodness, this car surprised me the most. When I turned onto the main road and the test driving guy encouraged me to test the tubo engine, I was in lust. It was cute,and it packed enough punch to leave folks in the dust. This was fun, and the redesigning of the Beetle is very roomy in the interior. 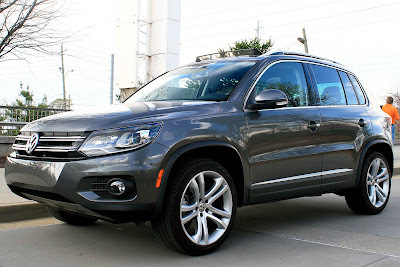 From there, I had to try VW’s SUV- the Tiguan. The crazy name intrigued me, but I learned that a child entered a contest and came up with the name since they liked tigers and iguanas. It was fun to drive, and it was equipped with the same Turbo engine with a panaramic moon roof. It was cool, but I felt bad for the woman who was riding with me. 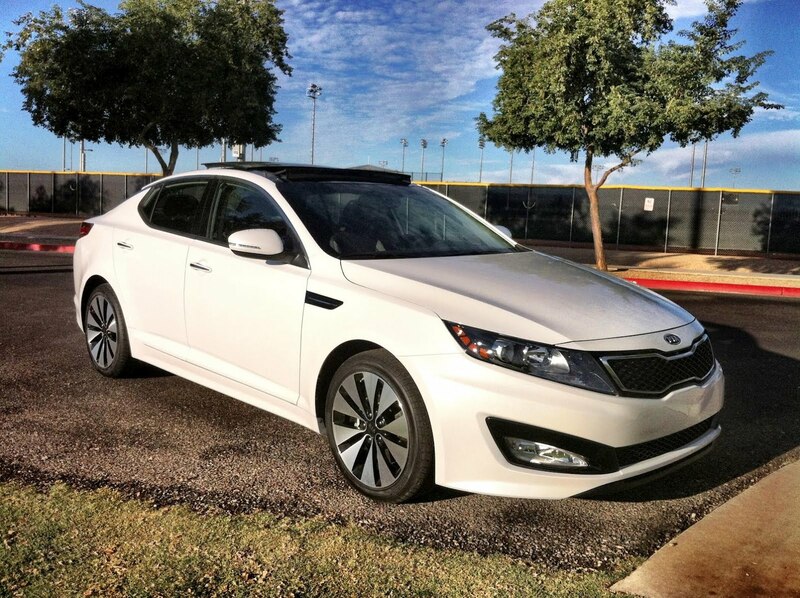 Finally, to round out the test drive, I ran over to the Kia section and jumped into the Optima Turbo. I tested the Optima Turbo last year, but the one I drove this year seemed a little different. But before I get into that, I want to get into something else. The test drive guy- forgot his name, but he was beyond knowledgable about auto shows, and all things automotive related. It was weird, he was like Rain Man of the automotive world. He did have an aspect of my dream job and I respected him for it. So while I was driving, Rain Man told me that Kia brought on someone from Audi to join Kia’s design team, and the interior looked so much better. I forgot I was driving a Kia for awhile. I hope the AJC Auto Show allows the test driving program next year. That way, it gave consumers a more intimate feel with a car. Auto Shows are good because they allow consumers to get in the car and feel the comfort level. But it’s one thing to sit in a car, it’s another to drive it for a few minutes. I didn’t go to the GMC area, they provided a bunch of compact and midsize cars, plus the GMC Arcadia that I test drived before, and the Chevy Camaro which I test drove before. I know one thing, I wish Ford would partake in the test driving program.